Perjury convictions are worse than suspended driving convictions. One would think that would be common sense. However, if their perjury convictions are correct, clearly Patricia Gerald and Tarsha Gerald gaffed in lying at their suspended driving trials only to be ultimately convicted both of perjury and repeat suspended driving. Gerald v. Virginia, ___ Va. ___ (May 31, 2018). 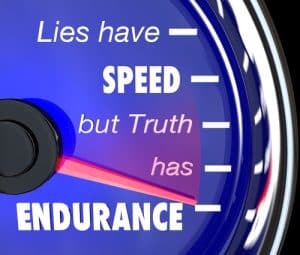 As a Virginia criminal lawyer, I impress upon my clients not only the necessity under the law not to lie on the court witness stand nor to law enforcement officials (and remaining silent also avoids lying), but also about the strength of the truth. Unfortunately, lying seems so rampant in society that for too many people prevaricating is like a leaky faucet that has never been stopped. A slew of people are driving without valid licenses. The reasons are many, running from ineligibility to obtain a license (for instance by undocumented people, for whom we need a path to obtain valid licenses); to suspension from convictions for DUI/DWI, breath and blood testing refusal, suspended driving convictions, hit and run convictions, and fleeing and eluding convictions; to accumulation of negative points against one’s driving license; to not timely paying moving violation fines and fees required to the DMV. Nobody should drive without doing so pursuant to a valid license, both because it is the law and because a person digs himself or herself into a deeper hole by violating such laws. Yes, some people may get away with that for a period of time, but the odds will catch up to them. The Virginia District Courts are courts not recorded/ not of record, and appealed District Court convictions often are not recorded, unless one or both parties arrange for a court reporter or other recording of the proceedings. The Geralds were convicted of perjury for their unrecorded testimony in District Court. If a person is prosecuted for perjury when the person is innocent, certainly the defendant wants a recording of everything s/he says in court, which underlines the importance always of securing a court reporter for court, or else proceeding with the less desirable option of recording the proceedings on a tape recorder, with the court’s permission. Fairfax criminal lawyer Jonathan L. Katz underlines the necessity of always being truthful, and of the truism that silence is not a lie. Jon will be delighted to discuss your case with your, through a confidential consultation scheduled through his staff at 703-383-1100.